Le Merritt – the stylish urban paradise. With just that many units for the privileged few, Le Merritt adopts the philosophy of “less is more”. Both the facade and interior design adorn a contemporary concept encompassing sleek, clean architectural forms. Buyers can choose from a variety of stylish apartments from two to three-bedroom apartments and penthouses. An equally delightful sunken pool and gym serve to let you enjoy fitness and relaxation at your doorstep. Living in Le Merritt is easy. 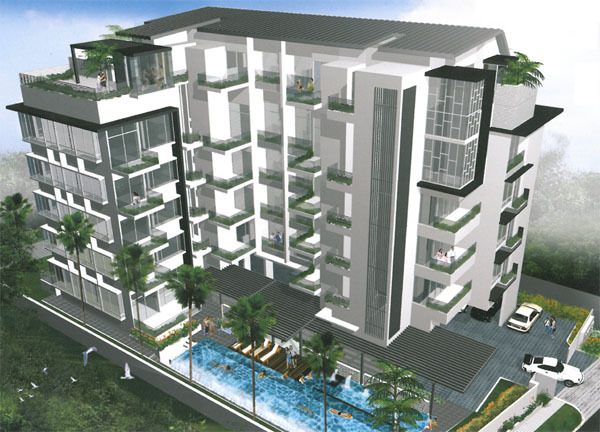 Its strategic location translates to accessibility and convenience. Enjoy a hassle-free lifestyle. Le Merritt breathes a life of modernity. Each apartment boasts quality finishes and is fitted with designer appliances. Every detail has been divinely created to complement your modern lifestyle and speak affordable luxury. Shed your day’s cares as you step into your stylish urban paradise. It is the blissful haven for you and your family. This is where you should be.